Disclaimer: The iFi Audio xDSD sent to us for the purposes of this review is a sample and does not have to be returned. Thank you to iFi Audio for giving us this opportunity. Despite its unassuming looks, the iFi Nano iDSD BL reviewed in February 2018 took me totally by surprise. I mean it was not as if I was warned that it was a good sounding little portable amp and DAC but rather for the price you got everything but the kitchen sink thrown in. It seems that way with iFi gear. Not content with maybe one to two unique features on their ever-expanding product line up, they instead throw in maybe 5-6 minimum. Getting MQA, even if just at a rendering level, for $199 was most welcome indeed. And so it is with their latest offering, the xDSD. We have new features, even more, new terms to understand like Cyberdrive and a whole new product category to get to grips with, the X-Series (steady there Charles!). Priced at $399, this is a step up on the Nano series and I believe a step below the Micro Series, particularly the Black Label range so it will be interesting to see what is unique and new about the xDSD. The big feature this time around is the inclusion of Bluetooth aptX capability on the xDSD to allow people to go wireless. iFi portable amps and DAC’s, up until this point, have been largely wired affairs though with OTG there was always has been a high degree of portability. Headphone and IEM companies are spitting out wireless products at a frightening speed so the xDSD taps into that frenzy at a timely moment. The other interesting new feature is what iFi Audio term as the “Cyberdrive”. 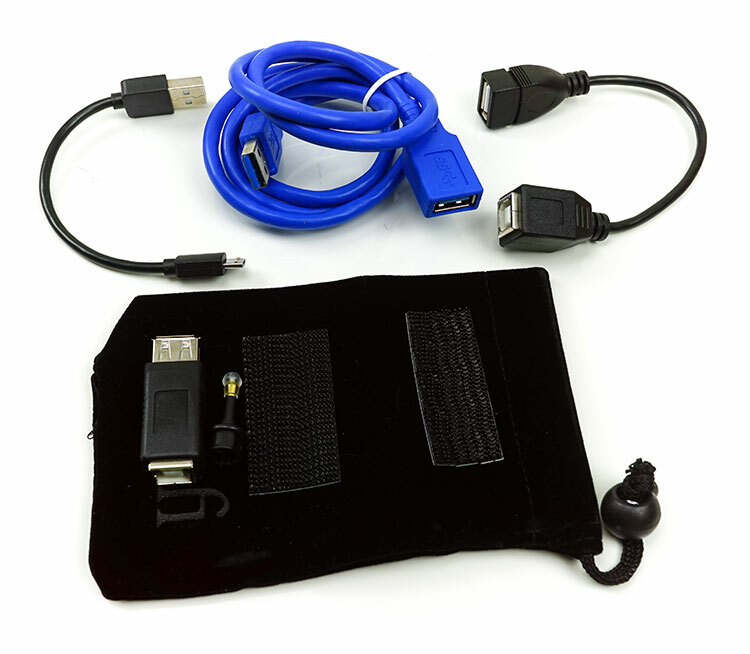 This new Cyberdrive system incorporates the old IEMatch functionality as well as dual USB input system to separate the power/charging from the data stream. This is not unlike the FiiO Q5’s dual USB system which is purposed for the same level of split functionality. In theory, it should prevent the xDSD from draining your phone or sources battery when in OTG mode as well as keeping noise floors at IEMatch levels of low. The xDSD also pulls in a number of existing features from right across the micro and nano feature range. 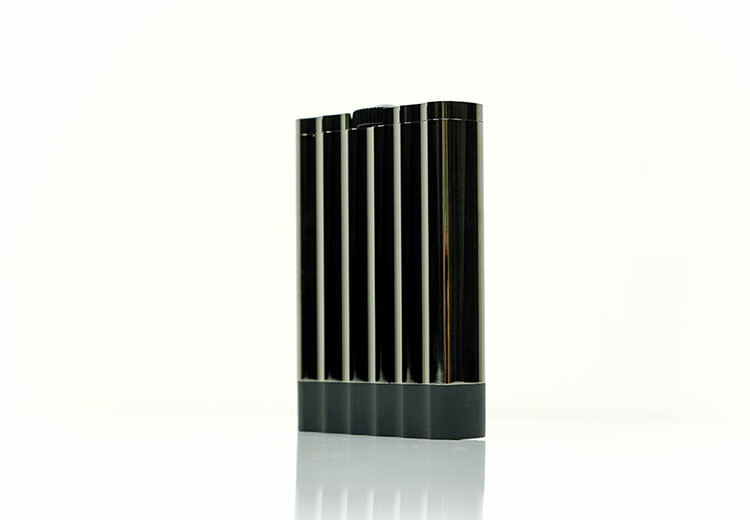 Features such as MQA rendering, iPurifier, S-Balanced output jacks, a dedicated line-out and the multi-bit Burr Brown PC1793 DAC chipset used on the BL line. These should be familiar to existing iFi Audio fans. The final trickle-down feature is something only previously found on the more expensive Micro line and that is their 3D+ Matrix and XBass+ technology. 3D+ Matrix basically reinterprets the “in-head” effect of playing music recorded for speakers via a headphone or IEM. It does this via instrumental imaging and singer placement so it sounds more like a speaker setup and outside your head not inside. At a high-level, the XBass+ functionality is primarily a bass booster but it is designed to isolate or filter the low-end so as not to muddy up the mids at the same time. The form factor of the xDSD is thoroughly different and dare I say it quite unique for a portable device. It reminds me a little of the old C&C XO Headphone Amplifier from almost 10 years ago with its decidedly hip-flask shape. 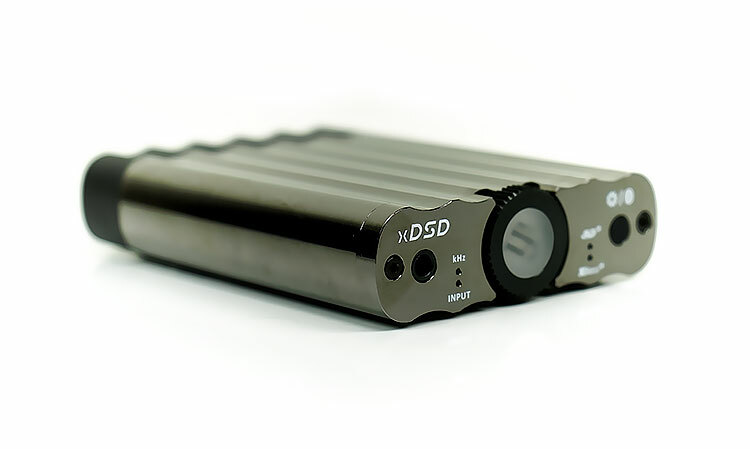 The xDSD doesn’t quite go to that extreme design level but its low-profile volume dial at the top and rounded edges combined with a ripple aluminum chassis has that flask aura about it. In any event, it is nothing like the iFi Audio products of old. The only common legacy they share is some of the branded labeling to the front and rear, the female USB port, and the diminutive size. For those that have concerns about stacking well, we shall just have to wait and see if new X series variants sit neatly on top with that uneven ripple effect. However, with phones and DAPs iFi have provided some velcro straps that actually do a rather nice stacking job without having to resort to rubber straps. The only slight concern is the diminutive size making it a little unbalanced for smartphones. For those with smaller DAPs such as the HiBy Music R3, Shanling’s M1, M2s and M3s and the older Astell & Kern DAPs then it is a perfect stacking fit. The materials are a bit flashier looking also over the older Nano and Micro series finishes. 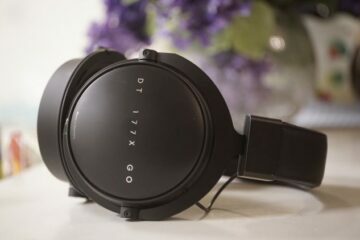 The xDSD is crafted from a mix of a gunmetal chrome finished magnesium-aluminum alloy and hardened contoured matching plastics. It is a bit of a fingerprint magnet due to that shiny finish so bring a cloth if you want it to look perfect. And perfect looking is what you want because it is one of the nicest looking portable amp/DAC’s I have seen for many a while. The stiffened matching contoured plastics at the base is for optimal wireless transmission strength. A pure aluminum case would diminish the signal substantially whereas the more porous plastic cap is much better. The xDSD does have a lot of LCD diodes (lights) encased which one might suspect will be a factor in is battery life performance. The most prominent of which is the central translucent plastic iFi volume and power button. In a leaf out of the Chord book of visual cues, the central light of the xDSD will associate a color to volume levels with a weak blue glow at the lowest to a really aggressive red at the highest setting. Most will sit comfortably with magenta or cyan for IEMs at around -81 to -46dB. It will also turn white once you switch to using the line-out at the back. When the xDSD started in normal “wired” mode you get a tinge of green before it goes out. By starting and holding it from the power of position you get a blue tinge to indicate BT pairing mode. At which point a small input diode on the front panel will flash blue and red to indicate pairing. It will stop once paired with a BT source. Aside from that, you have a switching color small diode to the bottom left above the input diode to indicate the sampling rate, a white LED for activation of the 3D+ and XBass+ options and a small diode to the rear under the charging port to indicate battery status. 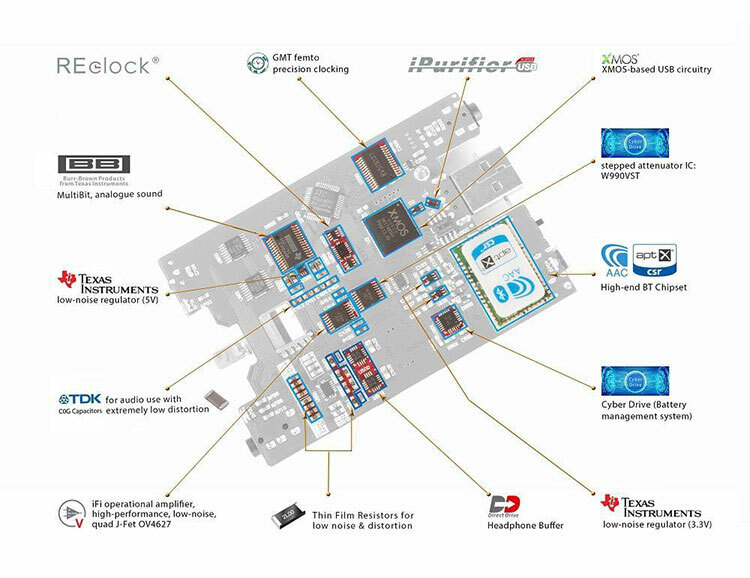 Despite its unique shape the I/O is fairly traditional in the layout. To the front, you have the indicator LCD lights plus a 3.5mm output jack. The 3.5mm output is both a TRRS regular stereo unbalanced output as well as incorporating their S-Balanced technology. The 3.5mm jack duals as a 2V line out for additional integration into analog amps. This is a fixed level line-out so volume will be disabled during its use. You can activate line out by pressing the settings button on the right combined with powering it up at the same time. The white light will show on the LCD panel to indicate lineout. Not too dissimilar to how you power up the line-out on the Hugo 2. Essentially S-Balanced is both 3.5mm unbalanced and balanced output with a full dual-mono design. For those rocking a 3.5mm TRRS 4-pole balanced plug, you are in luck with the xDSD. My only concern is just who actually has a 3.5mm balanced termination. Generally, the market is going 2.5mm or 4.4mm for balanced so this strikes me as the “odd one out”. In this instance, I would advise shopping around for an adapter of some sort for 2.5mm to 3.5mm balanced and save a lot of cash if you want to try out the balanced connection on the xDSD. To the right, you have a small triple function button which controls the xDSD settings, the 3D+ and XBass+ on and off as well as switching out of any current Bluetooth pairing. A long press will go into pairing mode also for new BT sources and short presses will interchange between the 3D+ and XBass+ settings. The volume control is not digital, it is analog based though with a W990VST digitally controlled stepped attenuation process over a 101dB range. in 1dB steps. The dial itself is slightly inset though not completely flush with the slightly bulbous iFi branded bulb area acting as a power on/off and BT function button. You can also press it to mute but it does not have any playback control. The volume dial does not have a guard to protect from accidental physical adjustments. However, the stepped aspect has a degree of resistance to it so it is not terribly loose either. Unless you are very rough with it I can’t see too much accidental movement. It will take about 5-6 knocks to get to uncomfortable levels. To the rear, you have a mix of the old and new. The old is the male -USB-A port that has been a standard on iFi devices since forever. This time though it is behind a small rubber detachable cap and is purely for data. I am not hugely in favor of the detachable rubber cap since it pulls right off. I welcome the protection levels but a flap rather than a cap might have been better to prevent it from getting lost. The smaller micro-USB to the right side of the rear panel is exclusively for charging. Sorry, no USB-C for fast charging with power banks which some might see as a missed opportunity. 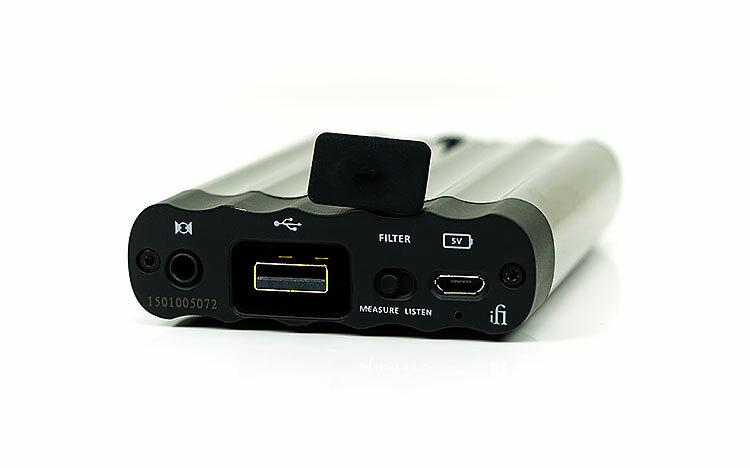 The split USB port system forms part of the new Cyberdrive technology from iFi focusing on the battery system. By splitting the data from the power the idea is to reduce the power draw from the source device in OTG mode and keep its uptime longer. 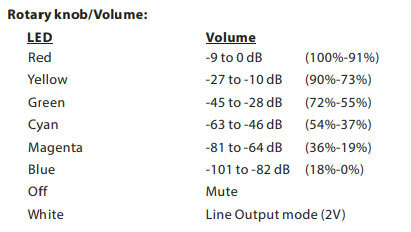 It should also reduce any potential noise that can travel up the wire when power and data streams are mixed. On the far left you have a SPDIF input for system integration with another digital source and just on the right side of the USB-A male port is their legacy measure and listen switch which tweaks the sound a little. Head on over to page 2 and our sound impressions for further details on how each filter affects the performance on the xDSD. The xDSD uses a fairly compact 3.8V/2200mAh Li-poly battery rated at about 10 hours max (SPDIF) on paper. It will drop to 8 hours for BT and 6 hours for USB. I am on the fence on that one both in terms of real-world experience and rated specs. I have seen higher from the likes of Sony and FiiO but I have witnessed much lower also. Let us call it average and to get close to 10 hours you are really going to be churning out Flac 44.1k or less in wired mode. Throwing on Bluetooth, MQA, power-hungry headphones or sampling DSD on a constant basis will drop those numbers a bit from 10-hour spec. My average was about 5 hours, perhaps pushing above 6 hours when just casual listening using a mix of BT and OTG. The Cyberdrive charging system has a positive and welcome feature that ensure a long battery lifespan. Say for instance you decide to power it and use it as a desktop solution so its “always on” a power source. The Cyberdrive charging system will not max out that charge leading to premature death of the battery. Instead, it enters a “desktop” mode which maintains it around 70% and “maintenance mode”. That is a healthy level for the battery if it is always on a charger. I have been aware of how well-packed iFi Audio product boxes and the xDSD matches my experience of the Nano iDSD BL with a couple of smart additions. This is a long but thin retail box chock full of eye-catching slogans and most of the unique features of the xDSD. It sort of reminds me of how Creative approach their product marketing except this one is in white. I kind of like it, it feels like I am getting a lot for the money. Is that a bit shallow? Yeah, but the retail shelf can sometimes be like that. Last time around I had a gripe on the lack of a decent OTG cable option on the Nano iDSD BL. Nothing has changed this time around which is a shame as they cost only a few $$ to throw one in and would make a big difference. The lack of CCK Apple connector is understandable as they cost a lot more. The smart addition is the little set of velcro strips that negate the need for rubber bands to stack the xDSD to a source. This is especially useful if your source is a touchscreen device such as a smartphone. It makes for a more refined stacking solution without those bands covering half the screen. Tidal MQA support over android with OTG cable or over USB from PC is fantastic. It is definitely a fast developing technology. I am expecting to see radical improvements when more LDAC compatible headsets come out. thank you, sounds like high res wireless still has some way to go. Cheers. Well there are a few ways I am would suggest looking into via BT and that is if your phone is LDAC capable. I am hoping that there devices like the xDSD will get an LDAC upgrade. This is a wireless upgrade to the codec that will offer up to 24/96 I believe. Thank you very much, I am intrigued by the possibility of using a phone as transport to transmit high-res material to something like the xDSD or Chord Mojo\Poly, but it seems it is not doable at the moment, if I am correct. Any advice appreciated. Yeah I remember now its just a cheap USB adapter module for $50 and supposed to bring better balanced for pairing physically with smartphones. I remember seeing a lot of modules at a dinner table once during an interview with John Franks however the one that made it to the market is the Poly and it is much mroe feature rich than the prototype in 2015. Hi Raymond. You can certainly connect the xDSD via Bluetooth. The ability to stream via aptX (the codec) will depend on the source devices capability to transmit aptX such as the LG G6. The iPhone, for example, does aac rather than aptX. Whilst the xDSD will render MQA you have to remember that once you transmit via BT it automatically limits it to 44.1k 16BIT so MQA is moot when using BT. For MQA you need to have it wired to a PC using the likes of TIDAL. Did you mean the Chord Poly? Thanks for the review Marcus. Wonder if you had a chance to use the xDSD with a mobile phone. Does it operate as a DAC through aptX? Can MQA stream through aptX? Actually I can’t find that module anymore, will send an email to Chord to see if it’s still a “thing”. Awesome review. A really comprehensive and thorough look at a very attractive unit. As a Chord mojo owner and Tidal HiFi user, it does make me wonder if I should upgrade to enjoy the BT and MQA functionalities but that’ll have to wait till real world listening. You mentioned a $50 BT module for the Chord Mojo too, could you point me to the right direction? 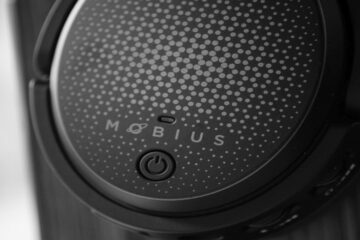 Been looking for an affordable way to take the mojo wireless. Thank you! I am not sure on LDAC, I see some companies like iBasso are able to upgrade via firmware with LDAC but nto aptX HD. That needs an upgrade in the actual hardware. So it is possible but no way of knowing for now. You are mentioning a very important point regarding by. Are you saying that xDSD in current form with this by chip cannot be upgraded to LDAC with a firmware update?